1904 16th Ave S, Birmingham, AL.| MLS# 844424 | Richard Jacks UABLIVING.com 205-910-2297 | Birmingham AL Real Estate | Contact us to request more information about our Homes for Sale in the Birmingham AL area. 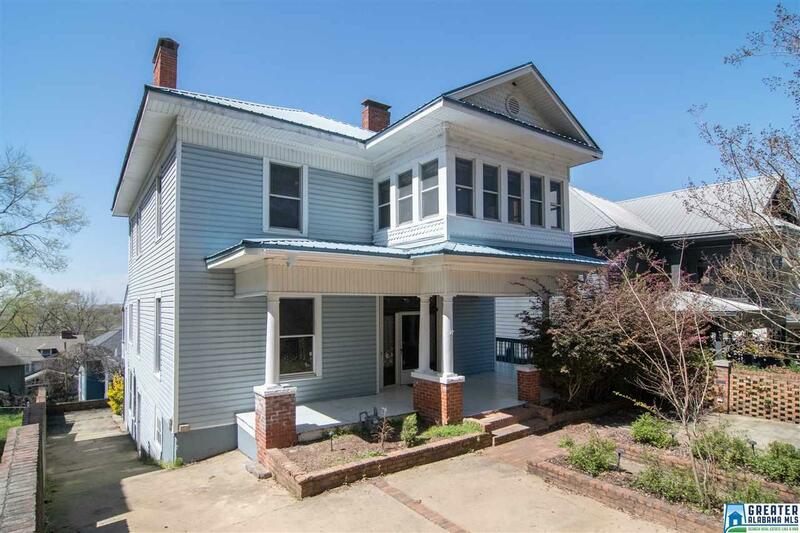 Beautiful 5 bdrm, 3 barm historic home in Southside features orig. hardwoods, trim, molding, & wainscoting; 5 gorgeous fireplaces w/detailed surrounds & grates; & tall 12&apos;+ ceilings. Entry parlor/study leads to inviting living rm, to dining rm w/French doors. Kitchen incl. custom countertops & dbl. copper sink, cabinets & walk-in pantry w/ample storage. Upstairs incl. 4 sizable bdrms w/high ceilings & fireplaces. Upstairs barm accessible through hall & mstr bdrm. Main level includes addl. bdrm w/lg. windows & vaulted ceiling, full barm, 2 sunrms, & laundry rm. Separate guest bdrm & full barm provides private living. Basement accessed from driveway w/existing plumbing could be addl. apartment. Serene back patio incl. stone fountain & pergola. 3 AC Units: 1995, 2000, 2004. Roof & Main Furnace: 2004. VIEWS FOR DAYS! SEE VULCAN FROM YOUR FRONT PORCH & SEE THE SPECTACULAR BIRMINGHAM CITY SKYLINE FROM THE BACK PATIO & REAR BEDROOMS!